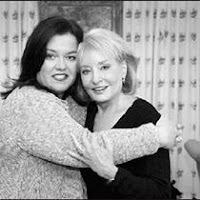 Last September, morning TV got a boost as Rosie O'Donnell gave the dismal daytime chatfest The View something to actually talk about. But that relationship ends this June as O'Donnell announced Wednesday on The View that she and ABC were unable to come to an agreement. "I will be coming back and guest-hosting," said O'Donnell. "I'll be doing one-hour specials on autism and depression and stuff I'm interested in. I'm just not going to do the everyday thing." O'Donnell says it was a contract issue, but you know the haters -- i.e. Bill O'Reilly and his ilk -- will suggest O'Donnell's views on gay rights, her anti-George W. Bush opinions and the public feud with billionaire bully Donald Trump somehow harmed ABC, which is owned by milquetoast Walt Disney. What do you think? Agree or disagree? Read more here.